Registration is now open for NICS Live at CAFRE Loughry Campus, Cookstown on Monday 20 May! Please see below the session programme for the day. 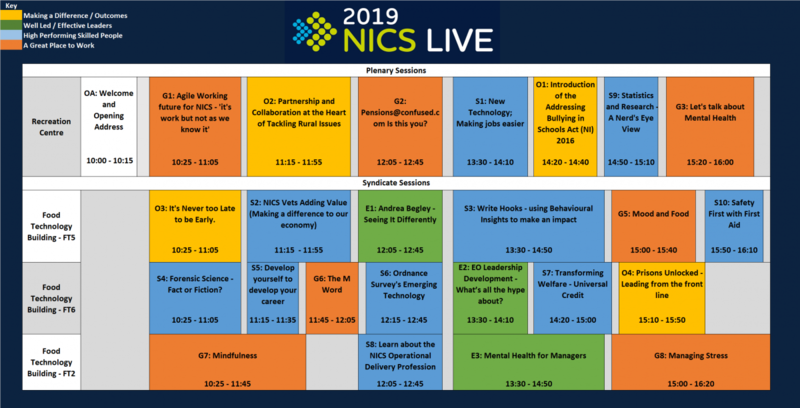 In addition, NICS Live is running a number of fringe sessions throughout the event, such as spot mentoring and WELL Health checks, for which you can also sign up for when registration launches on Wednesday 17 April.